Follow Inspiralized on LinkedIn to receive updates on a new #InspiralizedBoss post. Every Friday, we’ll be posting short and quick business stories, tips and resources that have helped us grow Inspiralized. The series will be called #InspiralizedBoss and we hope they inspire others! 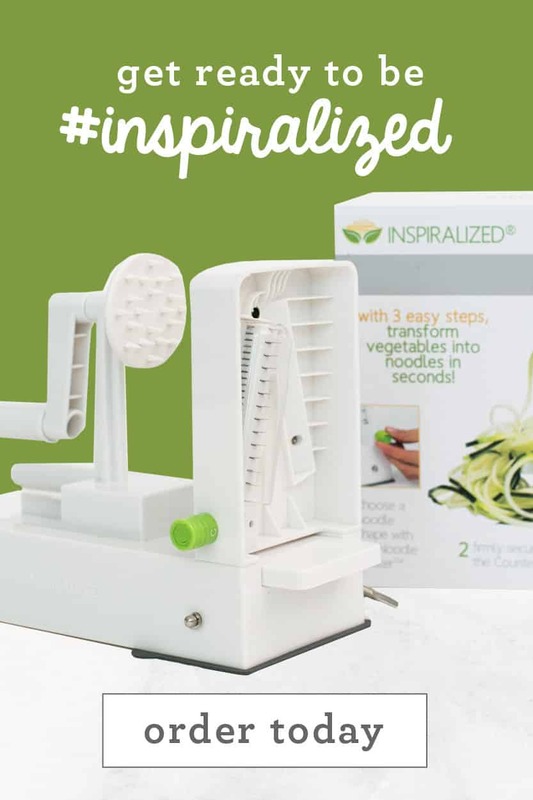 If you’ve never read the story of how I discovered the spiralizer and quit my corporate, cushy day job to start Inspiralized, you can read that briefly here. 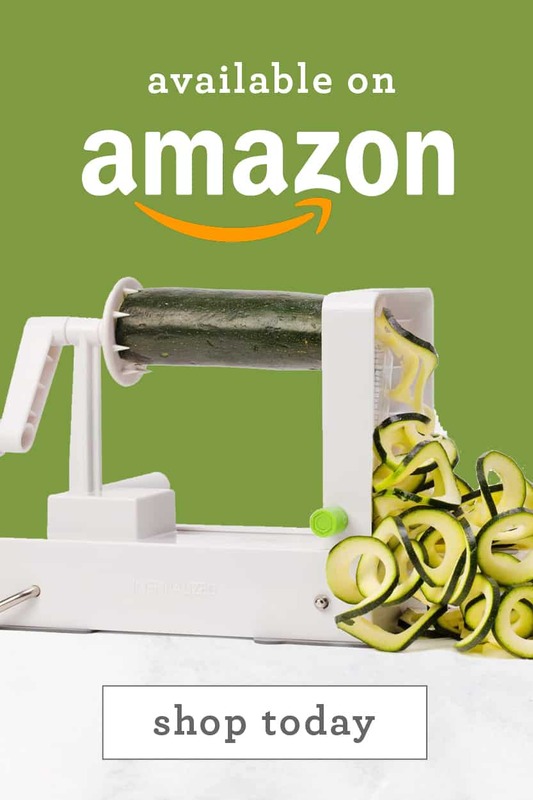 However, what this story is lacking is the story of what happened in the two months between discovering the spiralizer and quitting my job. While this post doesn’t include specific business advice, I often find it inspiring when business owners tell the story of how it all began. Right after I made that initial spiralized meal for my husband and I, I was hooked. I wanted to spiralize EVERYTHING. I think this is pretty common with those of us who are #inspiralized. 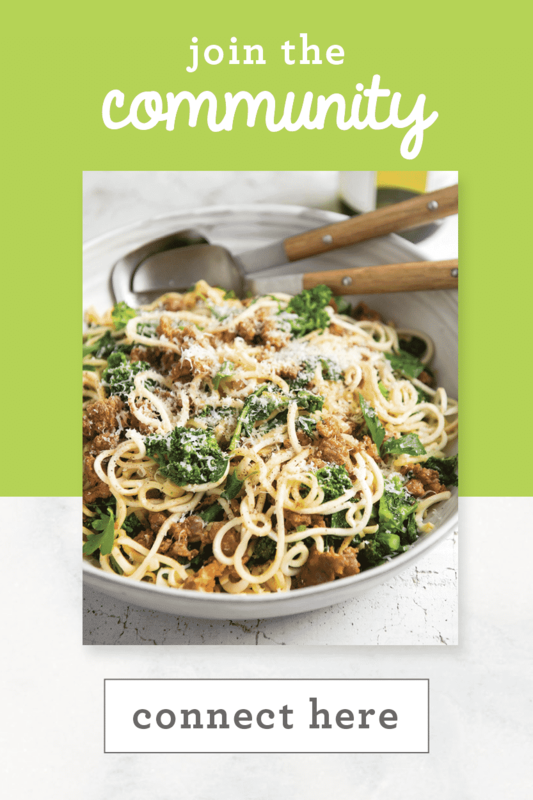 Once you start, you can’t stop – you want to transform all of your vegetables into noodles and you want to create. 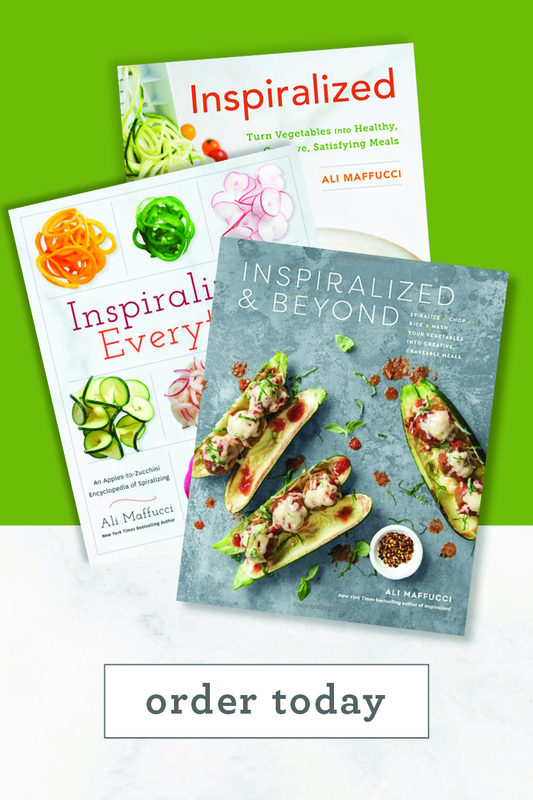 That’s what I loved the most about spiralizing – it fostered my creative side. I’ve always been a creative person, but I was so stifled creatively at my job at that point. I was having issues with my boss and I stopped believing in the company’s mission months prior. I was starting to look for something new, but the job was so comfortable, it was hard to pursue anything seriously. The symptoms were common: boredom, dreading waking up, counting the minutes until it was 5pm. I remember at 4:50pm, it felt like ages until 5pm. I hated those feelings. I wanted to look forward to my every day, I wanted to have energy and passion for what I was doing every single day. I wanted to wake up in the morning, excited to work. 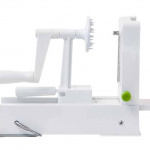 I started really experimenting with the spiralizer and I found myself at work on my lunch break, typing up recipes to try and having more fun making shopping lists than doing my actual job. That’s when I started to really think about my life and what I was doing. I evaluated my every day: when am I most happy? So, I revisited his idea and I decided that I was going to do it: start a blog. I decided that there was no way that I could do both (work a 9 to 5 job and build a successful blog.) After deciding that I was going to start a blog (but not yet having the courage to begin it), I went to work the next day and was so devastatingly sad to be at work and not working on my new spiralizing blog idea. That devastation made me realize how truly passionate I was about this idea of mine. 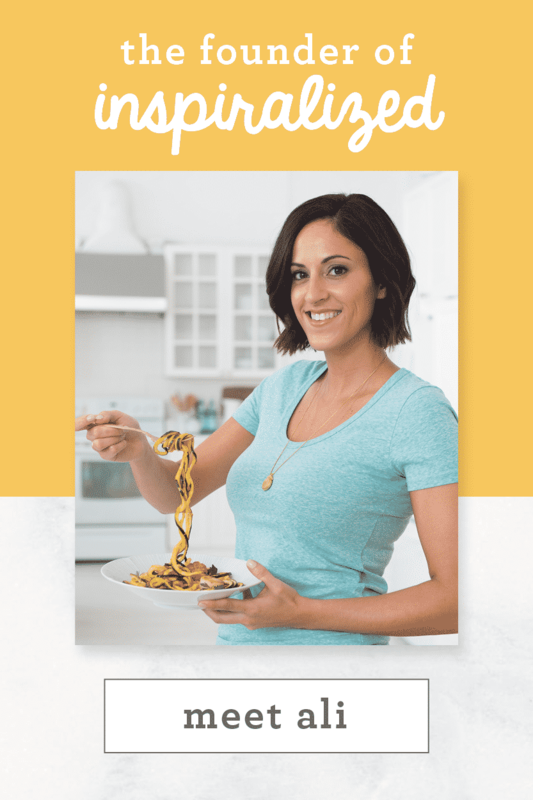 I wanted to make a difference in people’s lives – I wanted to create this resource around spiralizing. I had so many ideas, I was bursting at the seams with excitement. All I wanted to do was start! I started telling everyone I knew about my idea. It was around Memorial Day when I went on a trip with my girlfriends to Napa Valley, CA and I couldn’t stop telling them about what I wanted to do. They could sense the thrill in my voice and I think after that trip and confiding in my closest friends, I knew I had to pursue this. The “moment” when I got the confidence to do it was when I went to talk to a Chef friend of mine. We sat down and I told him my plan and what I wanted to do and he looked at me and said, “What are you waiting for? It’s either all or nothing. Do you want it? Just do it.” And the only reason I could think of NOT to do it, was the financials. The reality was that I was 25 years old and I didn’t have a big savings account that could sustain me much longer than 6 months. After taking a look into my bank account and of course, consulting Lu (who was just my boyfriend at the time – and we had just started living in an apartment that was a slight stress for us financially), I decided that I’d give myself 6 months to a year and if I couldn’t make a decent living, I’d go back to corporate America. I didn’t have a business plan, I didn’t have any logistical conversations with myself. I simply decided that I wanted to be happy. Once I made that affirmation, everything else was easy. That night that I decided the next day I’d quit was like Christmas Eve when you’re 10 years old. I couldn’t sleep, I was so elated and giddy. I couldn’t wait, so I registered the Inspiralized.com domain name. The next day, I woke up when Lu woke up to go to work and I walked him to the Subway, kissed him goodbye and he said, “Good luck!” Then, I walked into the Starbucks across the way, took out my laptop and started Inspiralized. It was the second best day of my life, after my wedding day! Thank you for tuning in, and I hope you learned something new from this week’s #InspiralizedBoss post. This will be our last post in this series until 2016! Happy holidays and have a wonderful New Year. Ali, you are truly an inspiration. This is an inspiring piece especially for those of us new to food blogging. Thanks for sharing and happy holidays. Thanks for the kind words, Leslyn! You can do anything you want, it's really true! What an awesome story! Thanks for sharing! 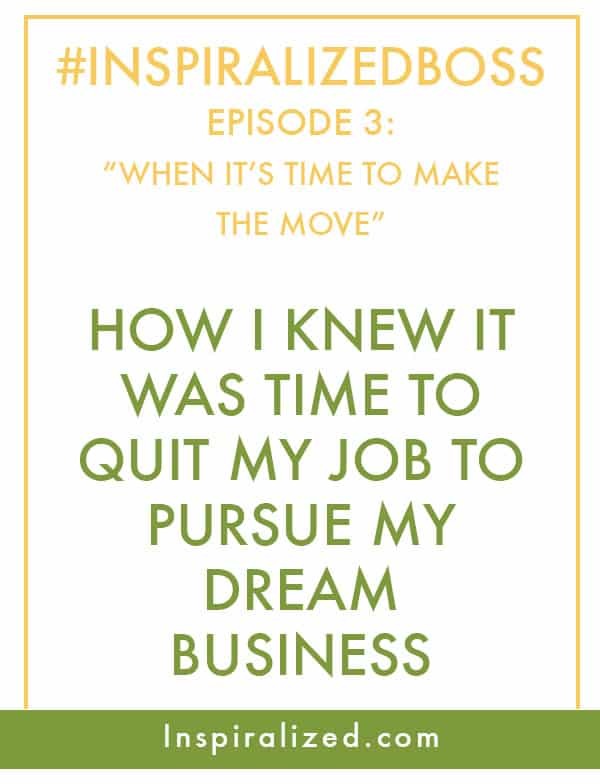 Quitting an unfulfilling job in pursuit of something better is the BEST feeling! Thanks for sharing more of this story! I love hearing about how others *actually* made the leap, what factors went into the decision, etc. Congrats on a successful leap! 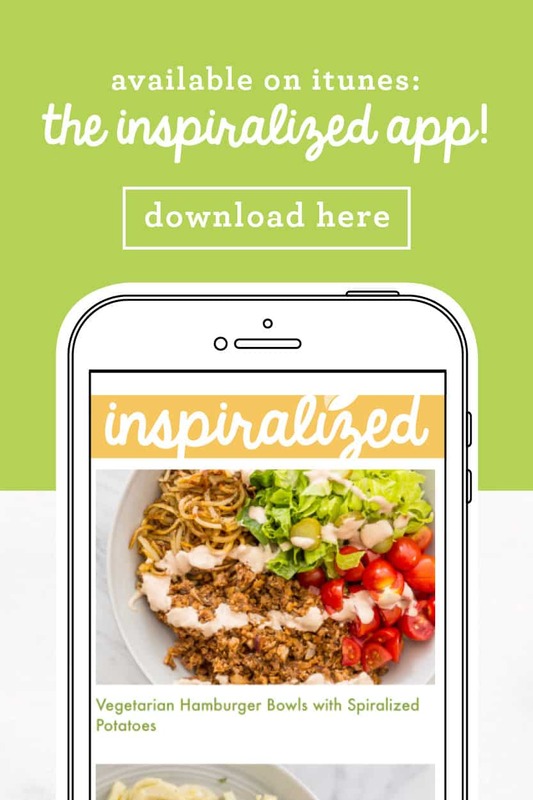 I'm also new to the Inspiralize community, but as a T1D for 20+ years, currently pregnant with my first baby, I'm excited to add more recipes to my low-carb diet! Thanks for your inspiring words! I always love hearing the back story behind a business or idea, especially when I can tell someone is really passionate about it, which obviously you are! Thank you so much for sharing! I can relate all too well to this right now. Between starting my healthy food blog and getting certified in personal training, I now know where my true passions lie. Maybe one day soon I'll have the courage to make the switch :) Thanks for being an inspiration Ali! I admire your gumption. How long has it been since you quit corporate America? I'm a Jersey Girl myself ( used to go to St. Peter's in JC) live in Atlanta now. I'm a family practice doctor and into fitness and Heath coaching. Just need to know how to start enough to take a year off. I commend you for what you have done to make a name for yourself. 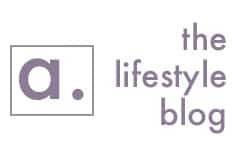 Enjoy reading your blog. We're so glad you're enjoying the #InspiralizedBoss series!